Pakistan Railways provides an important mode of Transportation in the farthest corners of the country and brings them closer for Business, sight seeing, pilgrimage and education. 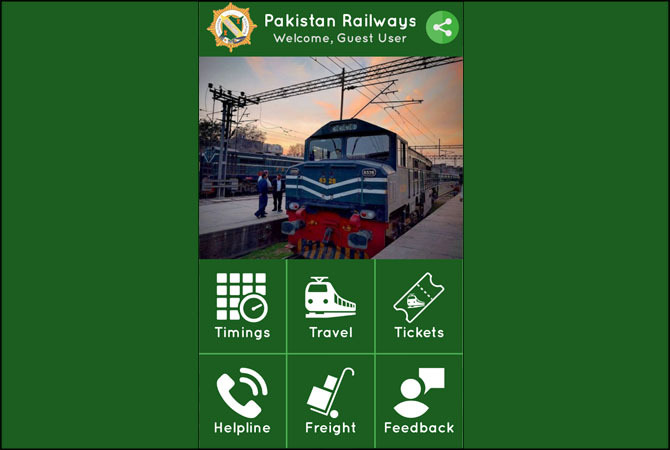 It has been a great integrating force and forms the life line of the country by catering to its needs for large scale movement of people and freight.Pakistan Railway Mobile Application has been introduced. 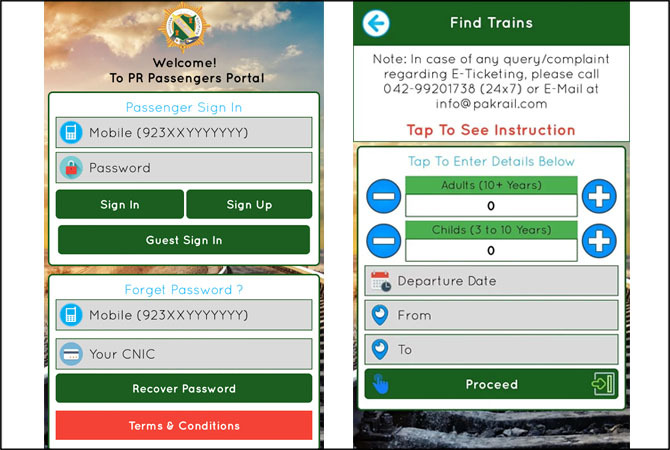 Pakistan Railways launches of its first mobile application, in a bid to facilitate travelers to reserve seats of their choice without having to visit their local ticketing office. In addition to being able to reserve their seats on 48 trains, passengers can view information regarding arrival, possible delays, expected travel time, stoppages and payment solutions through the newly launched application accordingly. Recently Pakistan Railways Minister Khawaja Saad Rafique, while addressing a press conference during the launch of the mobile app said that the achievement will be remembered as a historic milestone for the Pakistan Railways. He further thanked, the IT Department of the Railways for their efforts to develop and launch the application. He said that the IT department was also revamped, as earlier experts from the private sector were recruited but refused to work due to the negative perception of the railways.The e-ticketing system applies to Green Line trains and Rawalpindi rail cars for now but will be introduced for all trains during the next eight months. Passengers will now be able to pay for their tickets online via credit or debit cards, online bank transfers or micro transactions like UBL Omni Easypaisa or Mobicash. The latest initiative is aimed at increasing seat capitalization for the railways and decreasing chances of corruption. This milestone will also help to increase the efficiency and effectiveness of the department as well. The minister also informed that the government had targeted the up gradation of 21 railway stations in the country with a total outlay of Rs 19056 million to be spent during the next three years. He further disclosed tha China has expressed commitment to upgrade Peshawar-Karachi rail line by 2020 under the China-Pakistan Economic Corridor. After the download, the user would get a registration ID number for creation of a railway e-wallet. It is pertinent to mention that the App would be available for cellphones running on the Android operating systems. If you need any query about Railway tickets booking in Pakistan then mention in comments section below for more details.